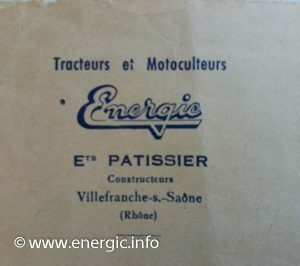 Ets Patissier used various letter heading in there 56+ year history, depending upon the period. 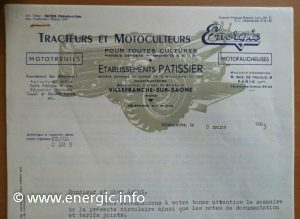 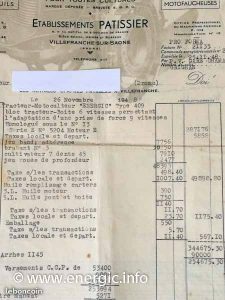 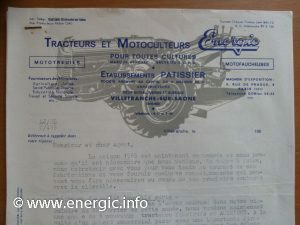 The letter headings illustrated there most famous machines of the time, mainly the Iconic, C7/D9 for pre 1940 and after that date the 409/411 motoculteur variant. 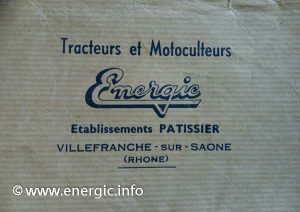 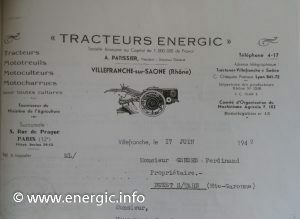 Energic letter head old style 17/06/1942. 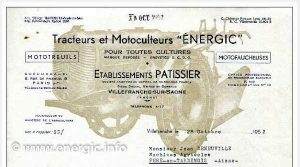 Energic envelope printed and postal marked. 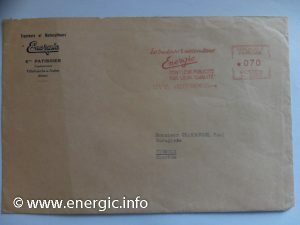 Energic envelope printed up variant 1. 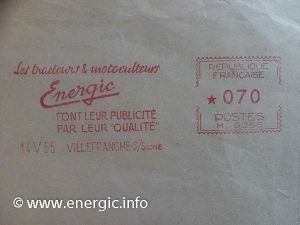 Energic envelope printed up variant 2.